This is another of my bibliographies, and, like the others, it is a work in progress. And, no, I haven’t converted to Austrian economics, but I believe in actually reading what the opposition think. I want to concentrate here more on recent literature, though I have included some older work by Mises, Rothbard and Hayek. Boettke, P. J. (ed. ), 1998. The Elgar Companion to Austrian Economics, Elgar, Cheltenham, UK. Boettke, P. J. (ed.). 2010. Handbook on Contemporary Austrian Economics, Edward Elgar, Cheltenham. Butler, E. 2010. Austrian Economics. A Primer, Adam Smith Institute, London. Caldwell, B. J. and S. Boehm, 1992. Austrian Economics: Tensions and New Directions, Kluwer Academic, Boston and London. Ebeling, R. M. (ed.). 1991. Austrian Economics: A Reader, Hillsdale College Press, Hillsdale, Mich.
Faber, M. P. (ed.) 1986. Studies in Austrian Capital Theory, Investment, and Time, Springer-Verlag, Berlin and New York. Garrison, R. W. 1991. “Austrian Capital Theory and the Future of Macroeconomics,” in R. M. Ebeling (ed. ), Austrian Economics: Perspectives on the Past and Prospects for the Future, Hillsdale College Press, Hillsdale, MI. 303–324. Garrison, R. W. 1997. “The Lachmann Legacy: An Agenda for Macroeconomics,” South African Journal of Economics 65.4: 459–481. Grassl, W. and B. Smith (eds), 1986. Austrian Economics: Historical and Philosophical Background, New York University Press, New York. Hagemann, H., Nishizawa, T. and Y. Ikeda (eds), 2010. Austrian Economics in Transition: From Carl Menger to Friedrich Hayek, Palgrave Macmillan, Basingstoke. Hayek, F. A. von, 1944. The Road to Serfdom (2nd edn), Routledge and Kegan Paul, London. Hayek, F. A. von 1973–1979. Law, Legislation and Liberty: A New Statement of the Liberal Principles of Justice and Political Economy, Routledge & Kegan Paul, London. Hayek, F. A. von, 1983. Knowledge, Evolution, and Society, Adam Smith Institute, London. Huerta de Soto, J. 2008. The Austrian School: Market Order and Entrepreneurial Creativity, Edward Elgar, Cheltenham, UK. Keizer, W., Tieben, B. and R. van Zijp (eds), 1997. Austrian Economics in Debate, Routledge, New York. Kirzner, I. M. 1982. Method, Process, and Austrian Economics: Essays in Honor of Ludwig von Mises, Lexington Books, Lexington, Mass. Kirzner, I. M. 1996. The Meaning of Market Process: Essays in the Development of Modern Austrian Economics, Routledge, London. Kirzner, I. M. 2000. The Driving Force of the Market: Essays in Austrian Economics, Routledge, New York. Koppl, R. (ed.). 2008. Explorations in Austrian Economics, JAI, Bingley, UK. Koppl, R., Horwitz, S., and P. Desrochers (eds), 2010. What is So Austrian About Austrian Economics?, Emerald Group Publishing Limited, Bingley, UK. Lewin, P. 1999. Capital in Disequilibrium: The Role of Capital in a Changing World, Routledge, London and New York. Meijer, G. (ed. ), 1995. New Perspectives on Austrian Economics Routledge, London and New York. Mises, L. 1977. A Critique of Interventionism (trans. H. F. Sennholz), Arlington House, New Rochelle, N.Y.
Oakley, A. 1999. The Revival of Modern Austrian Economics: A Critical Assessment of its Subjectivist Origins, Edward Elgar, Cheltenham. Rothbard, M. 2008 . What has Government done to our Money?, Ludwig von Mises Institute, Auburn, Ala.
Shand, A. H., 1984. The Capitalist Alternative: An Introduction to Neo-Austrian Economics, New York University Press, New York. Spadaro, L. M. (ed. ), 1978. New Directions in Austrian Economics, Sheed Andrews and McMeel, Kansas City. Of the various ways of organizing economic systems, one can see two extremes: anarcho-capitalism and communist command economies. Anarcho-capitalism would privatise everything and abolish the state. A communist command economy would abolish most private property and plan production of commodities centrally. In the middle, we have the modern mixed economy, where there is a very large space for private production of commodities and private property, but where regulation restricts production and property rights, and where the state intervenes with monetary and fiscal policy, as well as social security and other public goods. The modern neoliberal/neoclassical system we have had since the early 1980s would be to the left of centre. I would put the neoclassical synthesis Keynesian system many countries had from 1945–1979 in the middle. A Post Keynesian system would probably be slightly right of centre. Some nations like Japan, South Korea and Taiwan after 1945 had a higher degree of planning than even mixed economies, through their highly successful industrial policy, and would be even more to the right of the centre on the line below. Richard Koo is a Taiwanese economist working in Japan, and appears to be influenced by Post Keynesian economics, particularly Hyman Minsky’s financial instability hypothesis. Richard Koo’s research has focussed on balance-sheet recessions and credit cycles. I have posted a very interesting video below where Richard Koo is essentially explaining the process of deleveraging and how to avoid debt deflation. He also explains how Japan narrowly avoided a debt deflationary disaster in the 1990s during the lost decade. Koo makes the point that Japan and now the US are not in an inventory recession or a recession caused by a central bank trying to control inflation by monetary tightening where the underlying economy is strong: this is a balance sheet recession with excessive private debt, falling asset prices, and deleveraging. Japan in the 1990s was prevented from a catastrophic depression and the full effects of debt deflation (e.g., the type of collapse in the US from 1929-1933) by stop-and-go use of fiscal policy: but the effectiveness of that fiscal policy was undercut by fiscal conservatives who demanded austerity and budget balancing during the lost decade, most notably in 1997-1998. In a balance sheet recession, where deleveraging is going on, households are paying down debt and reducing consumption, and business are also repaying debt and reducing gross investment. This means that private consumption and gross investment collapse in GDP, causing a failure of aggregate demand. Unless you can massively increase exports to make up for this (impossible for most countries), then government spending must step in to fill the shortfall. But for Keynesian stimulus to work effectively, excessive and unsustainable private debt must be written off or restructured and the financial system must be cleared of bad assets and non-performing loans. In Japan, and now as we see in the US and other nations, deleveraging and the poor state of private balance sheets can cause the malaise to go on for years. Without these measures and additional, larger fiscal stimulus, the US and possibly the UK will most likely experience a lost decade in the 2010s, and now Joseph Stiglitz thinks that the European Union itself will be in for a “lost half-decade” too. Whether the US and European nations will slip into outright deflation again as austerity is implemented is difficult to know. Possibly high energy and commodity prices will keep inflation moderate to high in coming years. 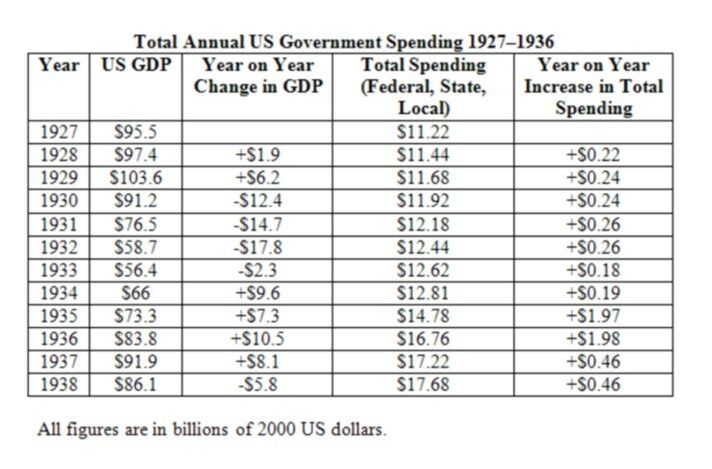 But if serious austerity takes hold in the US a lost decade for America, with a double dip recession, is a real concern. The US may well be the new Japan, so it seems. Bill Mitchell, “How fiscal policy saved the world,” Billy Blog, October 9th, 2009. Bill Mitchell, “Balance sheet recessions and democracy,” Billy Blog, July 3rd, 2009. Asset bubbles are a perennial curse in unregulated or poorly regulated financial markets. They are a plague on modern capitalism. But such bubbles, especially ones financed by excessive private debt, were minimized in the period from 1945–1979 when most countries had an effective system of financial regulation. With the advent of neoliberal/revived neoclassical financial deregulation and liberalization over the past 30 years, asset bubbles and debt deflation have become serious problems again all over the world. The first major victim was Japan, where ill-advised financial deregulation in the 1980s set Japan up for its massive property bubble that burst in 1991, leading to the lost decade. The US and other countries have now been hit by a similar disaster: bursting housing bubbles financed by high private debt, and leading to debt deflation and private sector balance sheets in a terrible state. Carter Dougherty, “Stopping a Financial Crisis, the Swedish Way,” New York Times, September 22, 2008. This type of bailout and cleaning of the financial system was far superior to Japan’s failed bailouts in the 1990s and the US bailout of 2008. Peter Thal Larsen and Chris Giles, “Self-assembly solution,” FT.com, March 18, 2009. Even under the gold standard, when money was a type of producible commodity, production of gold or silver in significant quantities was severely limited to certain countries and brief times. For example, if the UK was hit by a deflationary depression in the 1880s, with a rising purchasing power for money as demand for it increased as a hedge against future uncertainty (that is, a rise in its value due to deflation), could UK businesses just hire unemployed workers to “produce” gold in the UK? They could not. The gross substitution axiom is a fundamental assumption of neoclassical economics and the Austrians appear to tacitly assume the axiom as well. But the gross substitution axiom is wrong, and all inferences made from it in economic theories are also wrong. This is also one of the reasons why Say’s law, in its various forms, does not work. (3) the gross substitution axiom. These axioms are all wrong. A mainstream economist would have to reject them and start from scratch to come to the same conclusions independently as Keynes or Post Keynesians. For why these axioms are wrong, see Paul Davidson, Financial Markets, Money, and the Real World (Cheltenham, 2002), p. 43ff. (7) money and financial assets with zero elasticity of substitution with producible commodities. If someone starts from principles that do not describe the real world, then one’s deductive arguments will go badly wrong and will not apply to the real world. Robert Skidelsky, “The Relevance of Keynes,” January 17, 2011, www.skidelskyr.com. Robert Skidelsky, “The Relevance of Keynes,” Cambridge Journal of Economics 35.1 (2011): 1–13. Keynes: The Return of the Master, Wikipedia.org. Paul Krugman, “Keynes: The Return of the Master by Robert Skidelsky,” Guardian, 30 August 2009. Joseph Stiglitz, “The Non-Existent Hand,” London Review of Books 32.8, 22 April 2010. (this also has a letter by the Post Keynesian Paul Davidson clarifying Keynes’s views on uncertainty). N. Gregory Mankiw, “Back In Demand,” Wall Street Journal, September 21, 2009. Mankiw asserts that Keynesianism “is based in part on the premise that wages and prices do not adjust to levels that ensure full employment.” In fact, Keynes also showed that even if wages and prices were flexible, there would still be involuntary unemployment and failures of aggregate demand. The so-called New Keynesian tradition developed by Mankiw and others (which is rather different from the New Keynesianism of Krugman and Stiglitz) is actually a travesty of Keynes’ thought, and part of the problem plaguing modern economics. See “Neoclassical Synthesis Keynesianism, New Keynesianism and Post Keynesianism: A Review,” July 7, 2010. Post Keynesian economics is what this blog advocates, and most people do not understand that Post Keynesianism rejects the neoclassical synthesis idea of the liquidity trap. In the original formulation of the concept, a liquidity trap is the existence of an infinitely elastic or a horizontal demand curve for money at some positive level of interest rates. It should be noted that the expression “liquidity trap” is also used loosely or in a weak sense by New Keynesians like Krugman to mean that interest rates cannot fall below zero and that monetary policy can become impotent in some situations, which is perfectly true. That rather different definition of the “liquidity trap” is not objectionable. But it is the original neoclassical synthesis concept I am talking about here. In the decade after the Second World War, econometricians searched in vain to demonstrate the existence of a liquidity trap (that is, a horizontal segment of the speculative demand for moment) where monetary policy could not affect the interest rate. In a stunning volte face of the history of economy thought, Milton and his followers who accept the neutrality of money as an article of faith used this failure of econometricians as an attack on Keynes’s theory. Friedman’s motto ‘Money matters’ became an anti-Keynesian weapon. This may have been an effective argument against Old Keynesians who followed Samuelson’s lead in accepting the neutral money axiom. Keynes, however, explicitly declared that in his analysis money was never neutral, that is, that money matters in both the short run and the long run in the real world” (Davidson 2002: 95). “There is the possibility, for the reasons discussed above, that, after the rate of interest has fallen to a certain level, liquidity-preference may become virtually absolute in the sense that almost everyone prefers cash to holding a debt which yields so low a rate of interest. In this event the monetary authority would have lost effective control over the rate of interest. But whilst this limiting case might become practically important in future, I know of no example of it hitherto. Indeed, owing to the unwillingness of most monetary authorities to deal boldly in debts of long term, there has not been much opportunity for a test. Moreover, if such a situation were to arise, it would mean that the public authority itself could borrow through the banking system on an unlimited scale at a nominal rate of interest” (Keynes 2008 : 187). The reason why monetary policy can be impotent and ineffective in recessions, depressions or periods of high involuntary unemployment where expectations have been shocked is that we have an economy with endogenous money, subjective expectations and shifting liquidity preference. A government can massively increase the private banks’ excess reserves by quantitative easing (QE), as seen in Japan from 2001 to 2006, and in the US and the UK from 2009, but that will not increase investment, spending or employment significantly, unless that money is injected into the economy by private debt. But it is precisely the collapse of expectations and confidence that destroys the demand for credit and the willingness of banks to extend credit. Banks may prefer to hold their excess reserves, and private individuals, households and businesses may be deleveraging (especially after an asset bubble and excessive private sector debt), and unwilling to take on new debt, while the economy is hit by debt deflation. The impotence of monetary policy in such circumstances is indeed a reality and the remedy is fiscal policy. But the neoclassical synthesis Keynesian idea of the liquidity trap is simply not needed to explain this phenomenon. QE was a radical monetary policy justified by mainstream economics. It is the New Consensus macroeconomics, monetarism and conservative New Keynesianism that emphasises the use of monetary policy, while neglecting the role of fiscal policy. In contrast, liberal New Keynesians and Post Keynesians emphasise the role of fiscal policy and the ineffectiveness of monetary policy. Keynes, J. M. 2008 . General Theory of Employment, Interest and Money, Atlantic Publishers, New Delhi. First, let me say: if this is supposed to be a frivolous attempt at entertainment, then that’s all well and good. I must confess there are several moments in it where a broad smile came to my face and I burst out laughing. Good entertainment can be fiction. On the other hand, if people think there is anything really serious in it, they will be sorely disappointed. This video presents a caricature of Keynesian thought. I address some of the more important points below. I. Hayek’s influence is overrated. The first point is that the fight over economic policy today has little if anything to do with Hayek. Today’s debates are essentially between New Keynesians versus New Classicals/monetarists. All of them are neoclassicals, and the free market New Classicals and monetarists are not Austrians. Secondly, back in the 1930s and 1940s there were epic debates between Keynesians and Austrians like Hayek: and the Austrians lost those debates. In fact, a good many of Hayek’s bright students at the LSE in the 1930s like Abba Lerner and Nicholas Kaldor simply abandoned his theories once they came to understand Keynes’ ideas. The defeat of Hayek and the Austrians was rather spectacular, as the world converted to Keynesian economics, and Austrians like Hayek and Mises were relegated to outer darkness. When neoclassical synthesis Keynesian came under attack in the 1970s, it was not Austrian economics that overthrew it, but Milton Friedman’s monetarism and then the revived New Classical macroeconomics. Immediately before giving his early 1931 lectures at LSE, which were his introduction to the school, Hayek gave a one-lecture to the Keynes-dominated Marshall Society at Cambridge. Richard Kahn, one of Keynes’ followers and later his literary executor, described the scene. Hayek had “a large audience of students, and also of leading members of the faculty. (Keynes was in London.) The members of the audience—to a man—were completely bewildered. Usually a Marshall Society talk is followed by a lively and protracted barrage of discussions and questions. On this occasion there was complete silence. I felt I had to break the ice. So I got up and asked, ‘Is it your view that if I went out tomorrow and bought a new overcoat, that would increase unemployment?’ ‘Yes,’ said Hayek. ‘But,’ pointing to his triangles on the board, ‘it would take a very long mathematical argument to explain why’” (Ebenstein 2003: 53). It is no wonder that by the late 1930s Hayek’s LSE students were deserting him in droves. “At about the same time [viz., 1946], I discredited myself with most of my fellow economists by writing The Road to Serfdom, which is disliked so much. So not only did my theoretical influence decline, most of the departments came to dislike me, so much so that I can feel it to the present day. Economists very largely tend to treat me as an outsider, somebody who has discredited himself by writing a book like The Road to Serfdom, which has now become political science altogether. Recently—and Hicks is probably the most outstanding symptom—there has been a revival of interest in my sort of problems, but I had a period of twenty years in which I bitterly regretted having once mentioned to my wife after Keynes's death that now Keynes was dead, I was probably the best-known economist living. But ten days later it was probably no longer true. At that very moment, Keynes became the great figure, and I was gradually forgotten as an economist” (Kresge and Wenar 1994: 127). II. A command economy is not a mixed economy, and Keynesian stimulus is not about war. From 3.00 to 4.00 in this video, there is a truly stupid attempt to paint Keynes or Keynesians as supporters of war as a method of stimulus, in the comments on the Second World War. And the producers of this video can’t even understand the nature of Western economies in WWII. 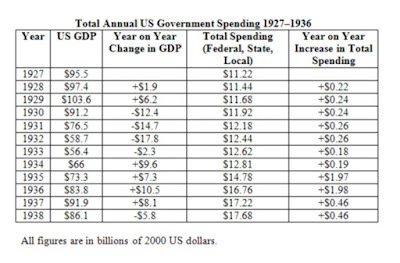 Of course, the US and other nations did have huge government spending in WWII, but they also had moderate command economies in these years, with price controls and rationing. I say “moderate” because the US command economy was certainly not as extreme as that of the Soviet Union. Other nations like the UK, Canada, and Australia also had moderate command economies during WWII. The real lesson from WWII that is devastating to Austrian and other libertarian buffoons is that advanced capitalist nations showed that their type of command economy was extraordinarily successful – in fact they won the war for us. We owe our freedom from German and Japanese fascism to central planning of production and the way the economy was run in those years. The experience in WWII refuted the Austrian idea that government can never plan production on a large scale. If that were true, how on earth did any government produce anything in these years, let alone win the war? 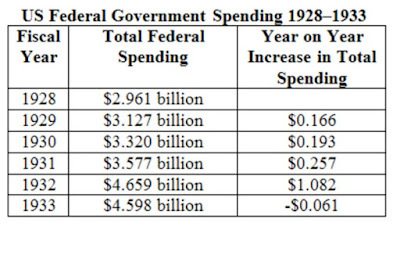 Of course, the WWII was a horrific disaster and any wartime economy is brutal and wasteful military spending. None of the comments above is, in any way, an endorsement of war or a reason to re-establish command economies today – they are just statements of fact. I don’t personally support a command economy, nor do Keynesians, and it is not in doubt that rigid, communist command economies in backward nations were grossly immoral, brutal systems that faced severe problems and, in the long-term, serious inefficiencies. But Keynesians do not advocate a command economy; they support a mixed economy, a very different thing from a command economy. Modern capitalist economies are mixed economies, where there is a vast space for private production of commodities and private enterprise. In a Keynesian system, we can stimulate the economy into full employment without war or military spending. 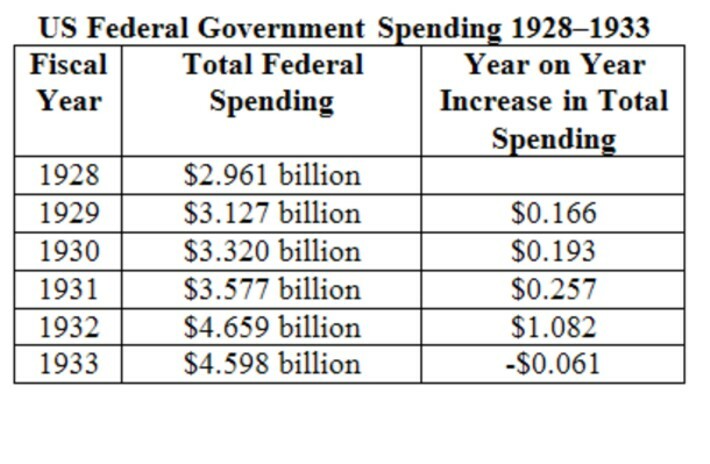 You can give a huge Keynesian boost to the economy by (1) large infrastructure spending, social spending, education spending, or increased R&D. Alternatively, you can also give a stimulus by (2) simply cutting taxes without cutting spending, which is also a classic Keynesian method. These are the two methods of stimulus preferred by every Keynesian I know, not war. III. Hayek recanted his views on “secondary deflation”. In saying that he agreed with Milton Friedman, Hayek presumably would have accepted a monetarist solution of stabilizing the money supply by open market operations and other interventions (some claim that Hayek also supported limited fiscal policy actions, but I have yet to see evidence of this). In other words, even the Hayek in this video is a travesty. By the end of his life, he moved closer to a monetarist position on “secondary deflation,” and approved of “evil” state interventions to stabilise the money supply. IV. Hayek and Keynes shared some important ideas on economics. “But Keynes himself did not think very highly of econometrics, rather to the contrary. Yet somehow his stress on aggregates, on aggregate income, aggregate demand, encouraged work in both macroeconomics and econometrics. So, very much against his own wishes, he became the spiritual father of this development towards the mathematical econometric economics. Now, I had always expressed my doubts about this, and that didn’t make me very popular among the reigning generation of economists. I was just thought to be old-fashioned, with no sympathy for modern ideas, that sort of thing”(Kresge and Wenar 1994: 127). Hayek, F. A. 1975. A Discussion with Friedrich A. Von Hayek, American Enterprise Inst., Washington. Kresge, S. and L. Wenar (eds). 1994. Hayek on Hayek: An Autobiographical Dialogue, University of Chicago Press, Chicago.